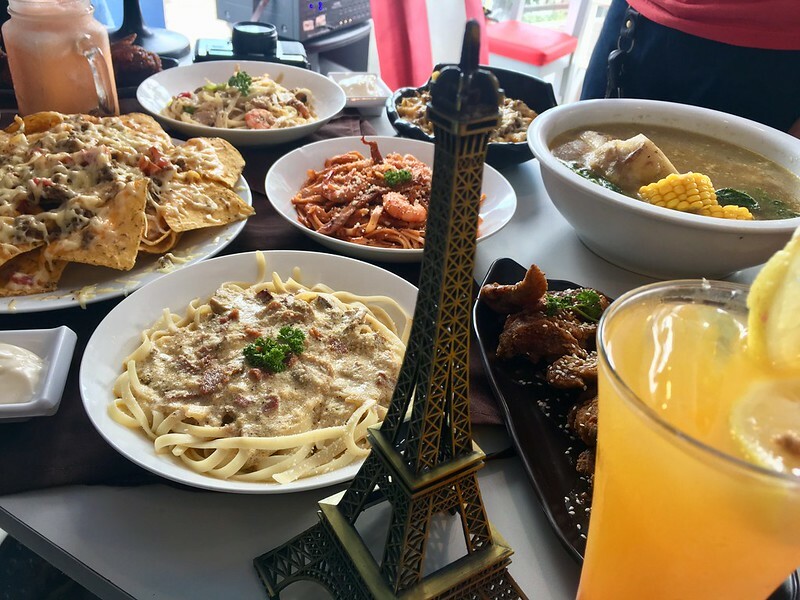 If taking a tour of the world to experience the cuisines that each country has to offer is included in your bucket list, you’re in luck. 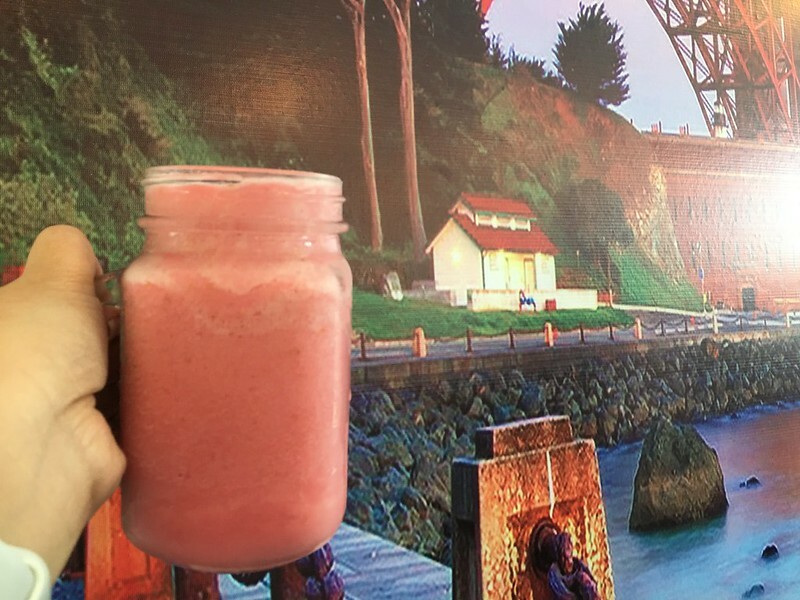 You actually won’t need to leave the metro to do just that. 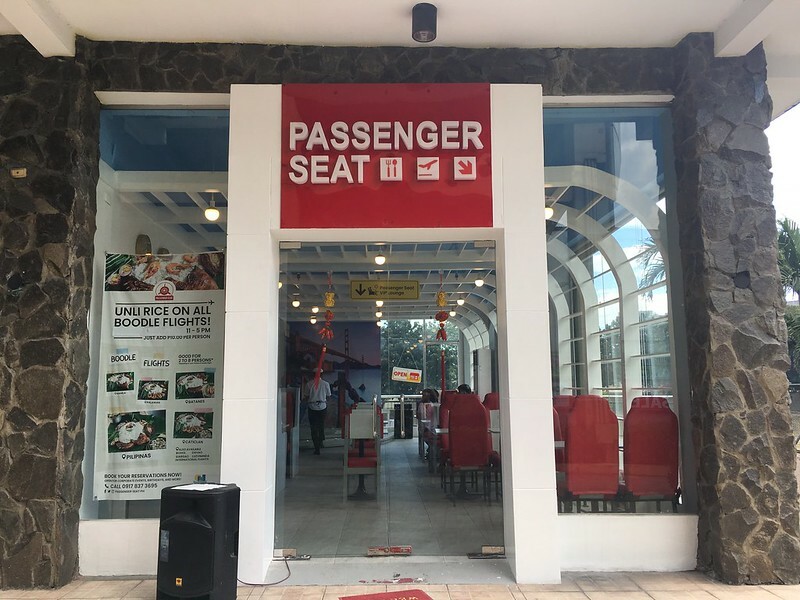 Simply hie on over to Passenger Seat at Riverbanks Center and begin your journey. 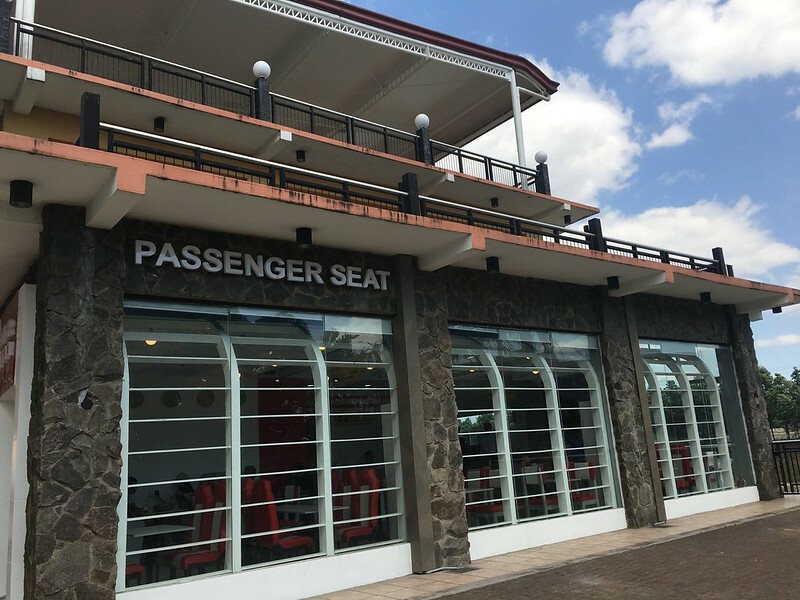 The restaurant’s plane-themed decor stems from the owner Mayee’s original ambition to be a flight attendant. 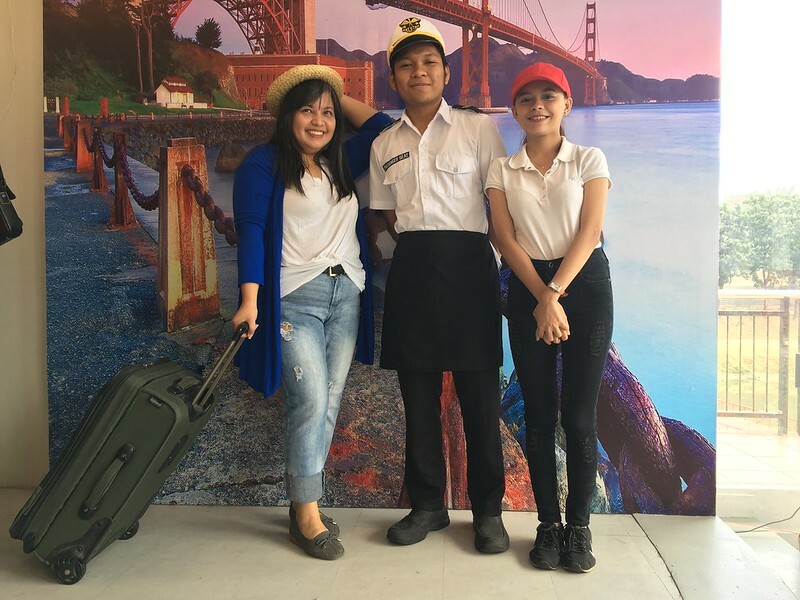 As she couldn’t pass the qualifications for this job, she decided to establish a plane-themed restaurant with the help of her parents and her boyfriend after graduation instead. 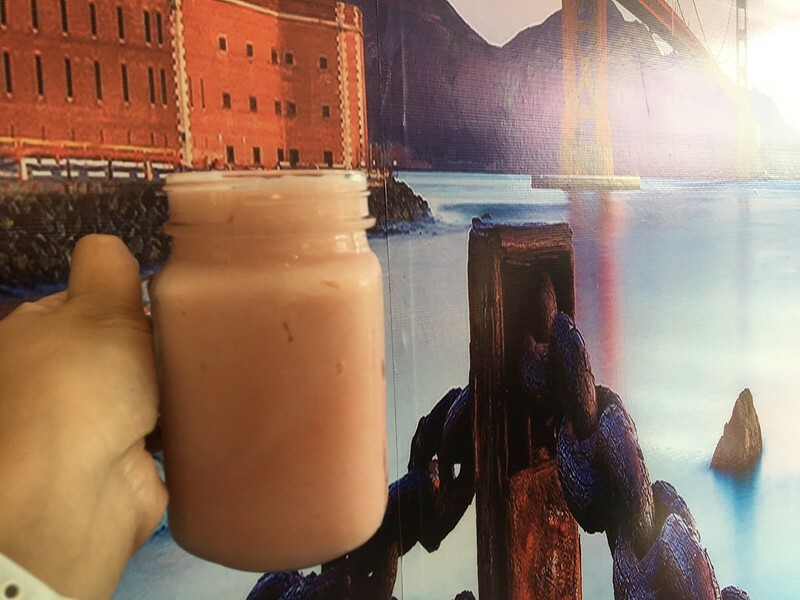 This was inspired by a similar eatery in Taiwan that she saw online. 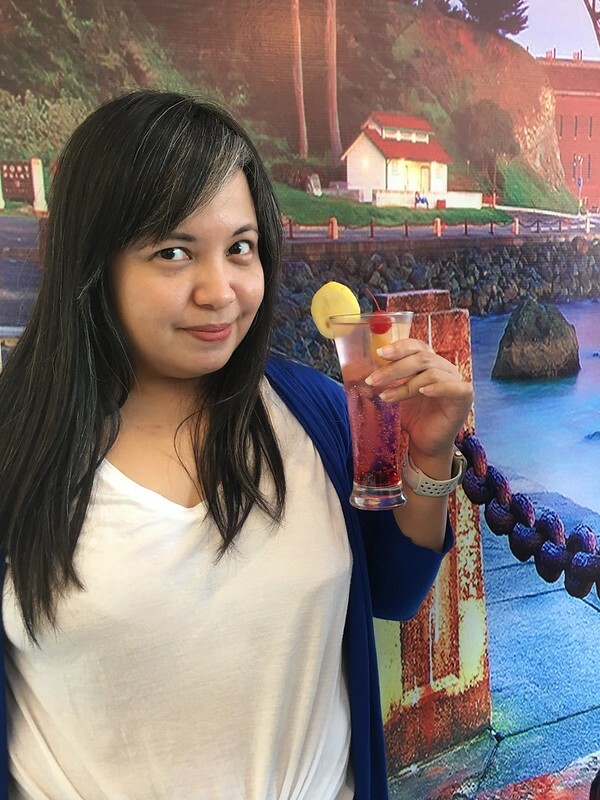 Her boyfriend Ralph, a Hotel and Restaurant Management graduate, helped her develop the menu. 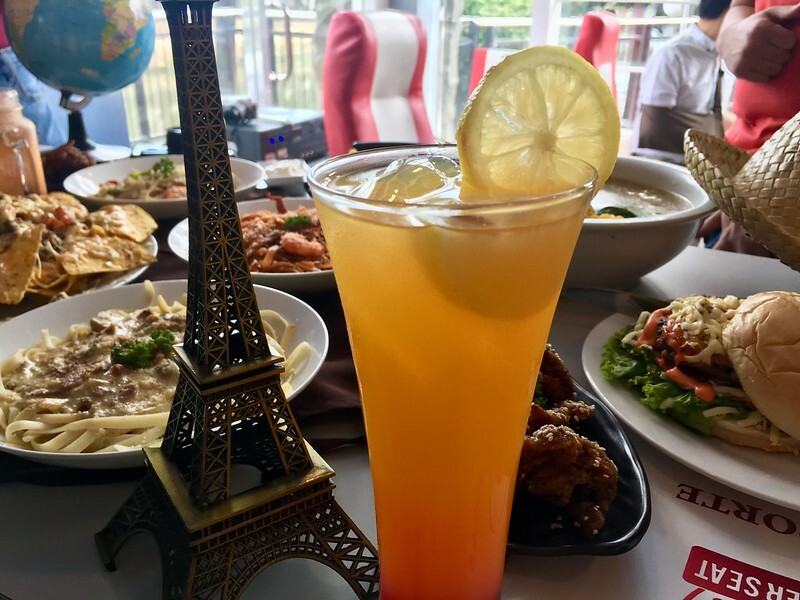 Encompassing both local and international cuisines, Passenger Seat’s food offerings feature whimsical and travel-themed names. 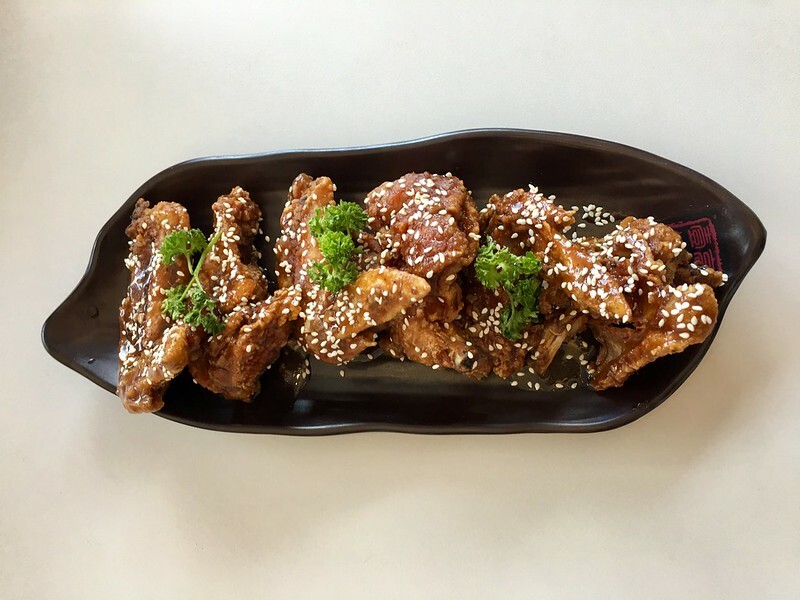 Take the Boodle Flights, for example. 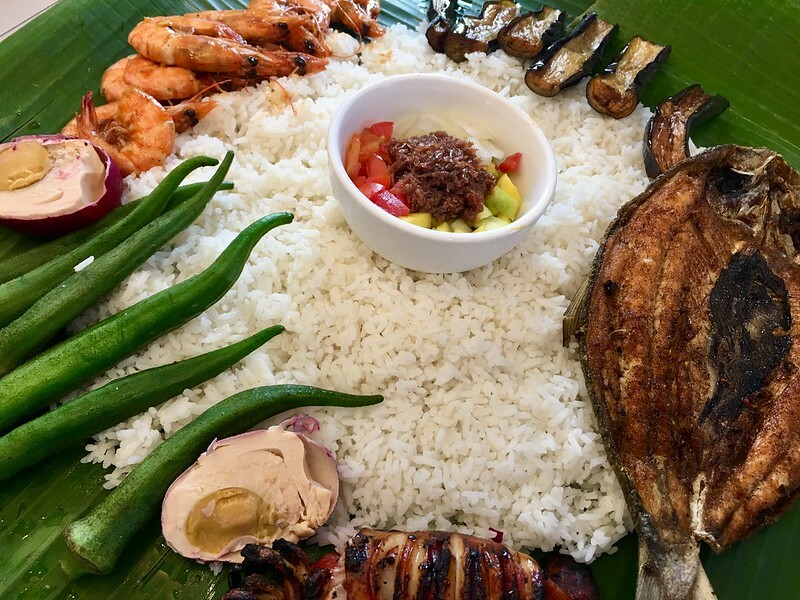 These menu items are named after boodle fights, the Pinoy-style communal feast wherein various viands surround a pile of steamed rice served on banana leaf. 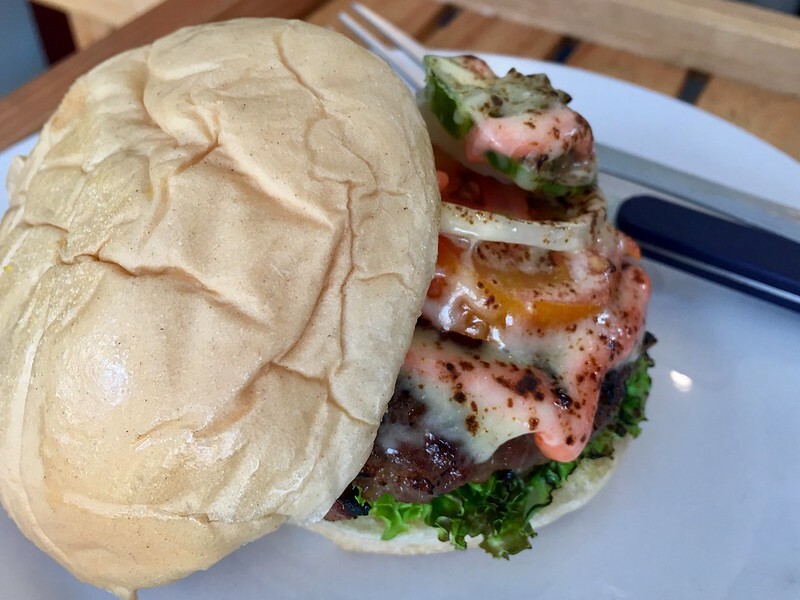 These are usually eaten by hand amidst a boisterous group of friends or family. 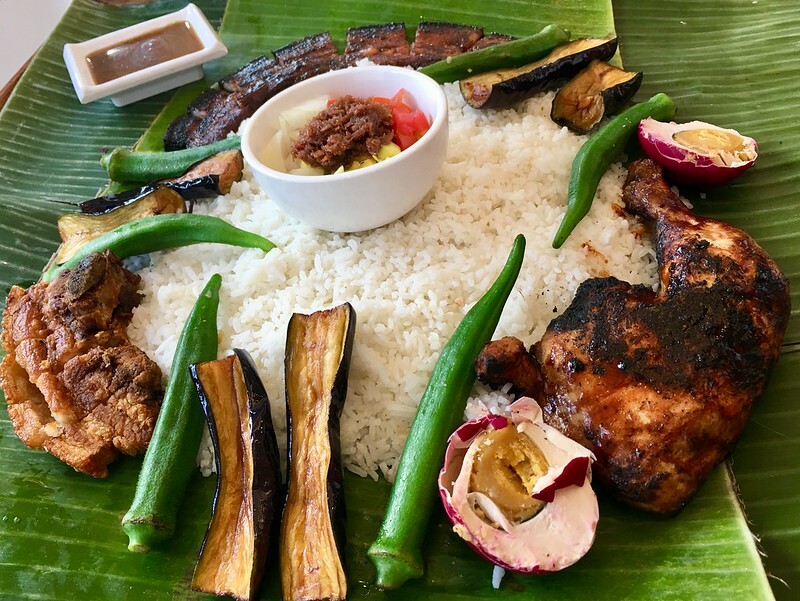 Manila (Php585, good for 2-3 persons) features all-meat viands which features Chicken Inasal, Lechon Kawali and Grilled Liempo, served with Salted Egg, Boiled Okra, Grilled Eggplant, Ensalada, Steamed Rice and a pitcher of Iced Tea. 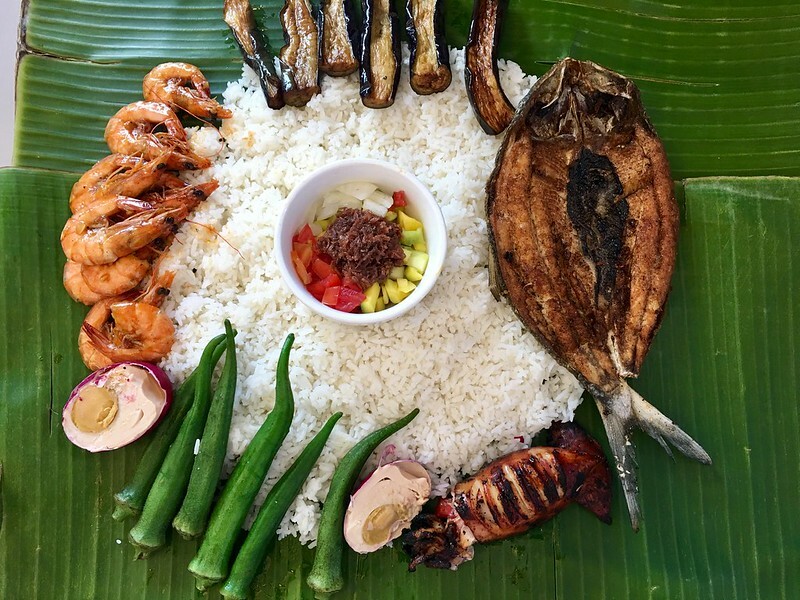 Palawan (Php599, good for 2-3 persons), on the other hand, is the seafood lovers Boodle Flight with Daing na Bangus, Grilled Stuffed Squid and Buttered Shrimp, also served with Salted Egg, Boiled Okra, Grilled Eggplant, Ensalada, Steamed Rice and a pitcher of Iced Tea. 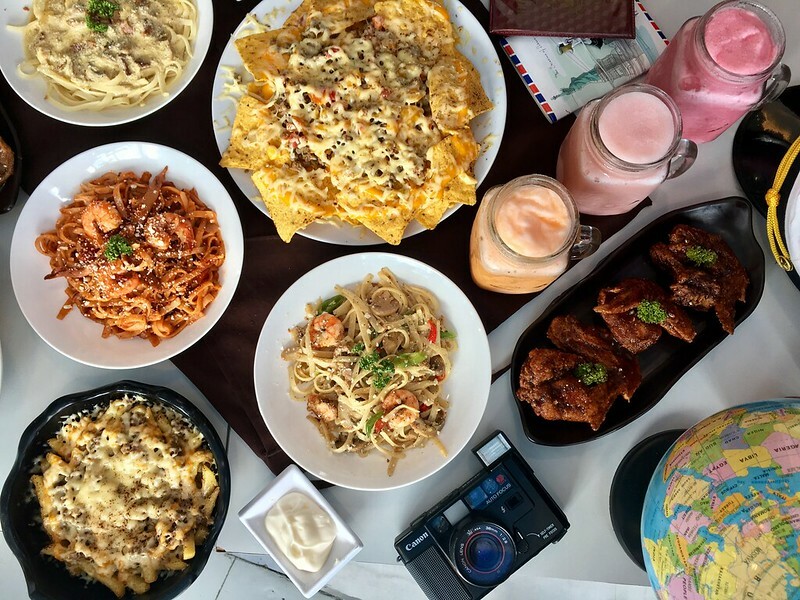 Up for an all-out food feast with the entire barkada or fam? Opt for Pilipinas (Php1,499) then. 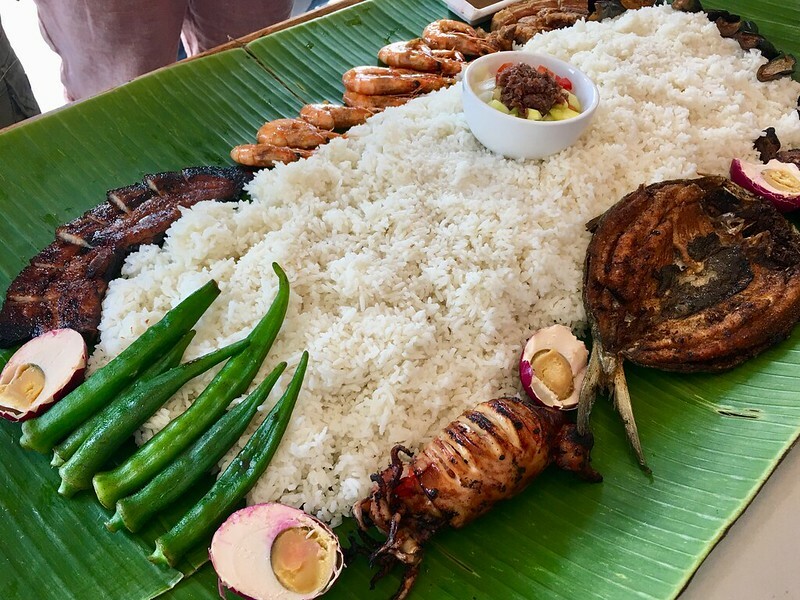 It has all of the viands of Manila and Palawan and twice the amount of the accompanying eggs, veggies, rice and iced tea. 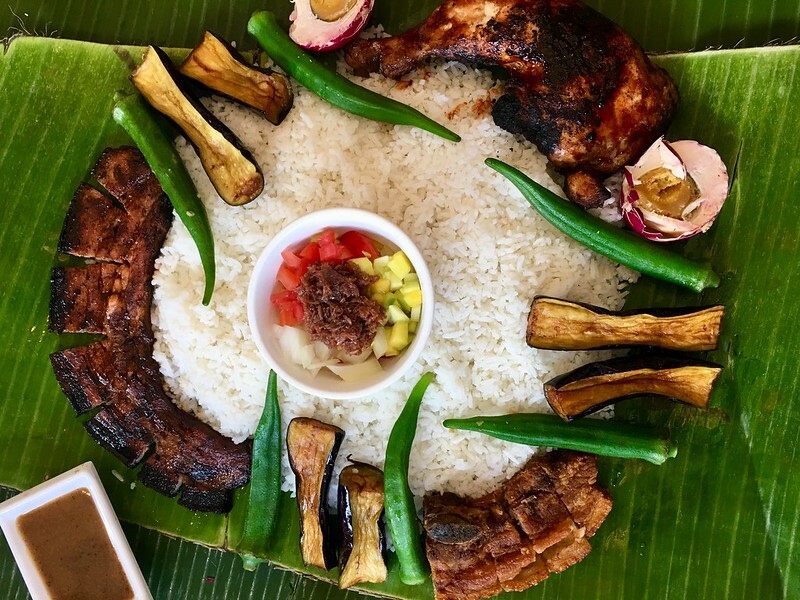 If you’re not up for Boodle Flights, don’t fret. 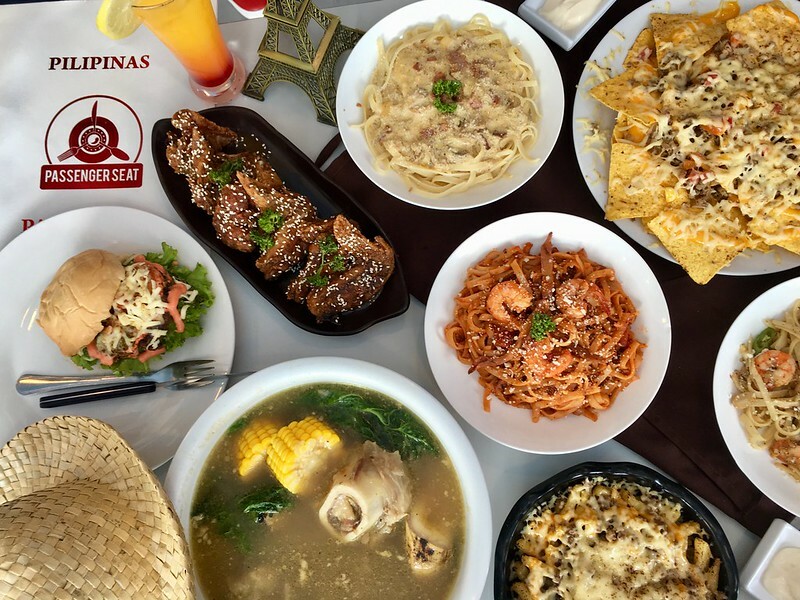 You can always opt for Single Flights, single-serve food items inspired by key dishes from each region, whether domestic or abroad. 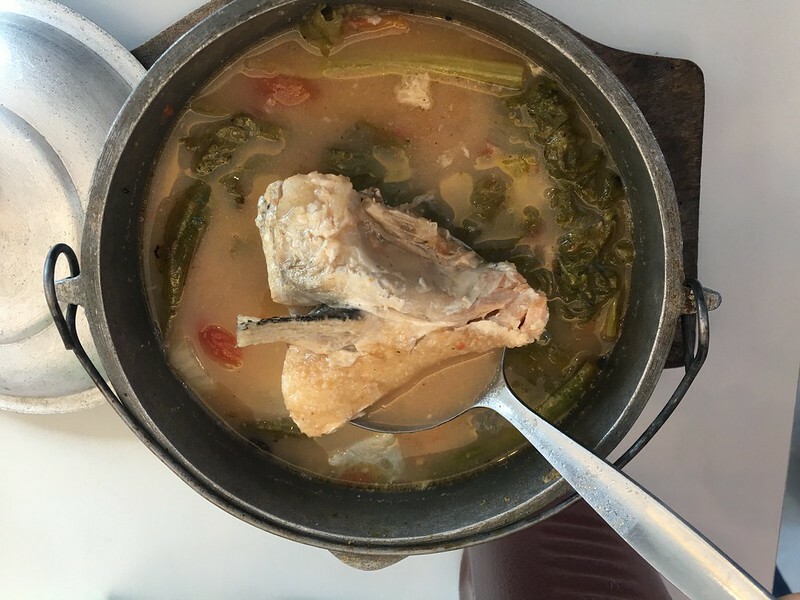 Tagaytay (Php350), features the place’s most famous dish: the Bulalo. 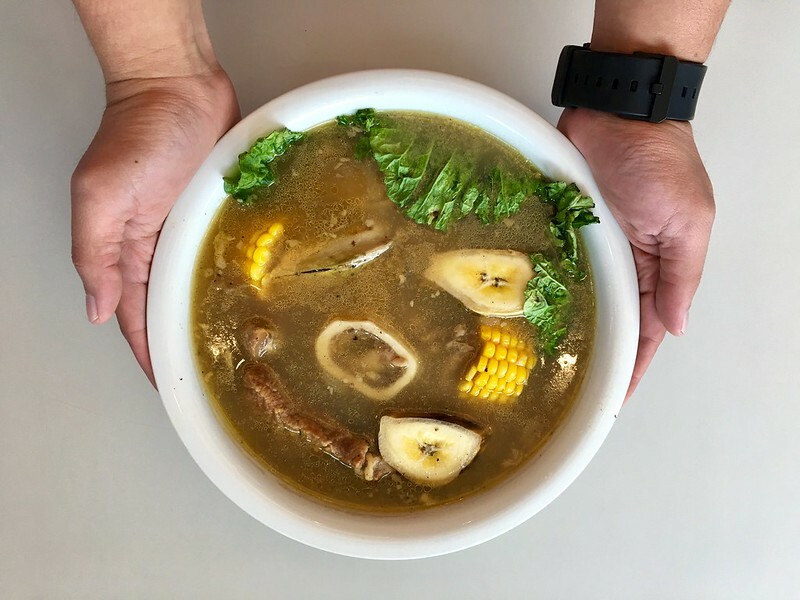 The flavorful broth is coupled with the tender meat (with tendons that actually melt in your mouth), made even more special with the much-sought after bone marrow. 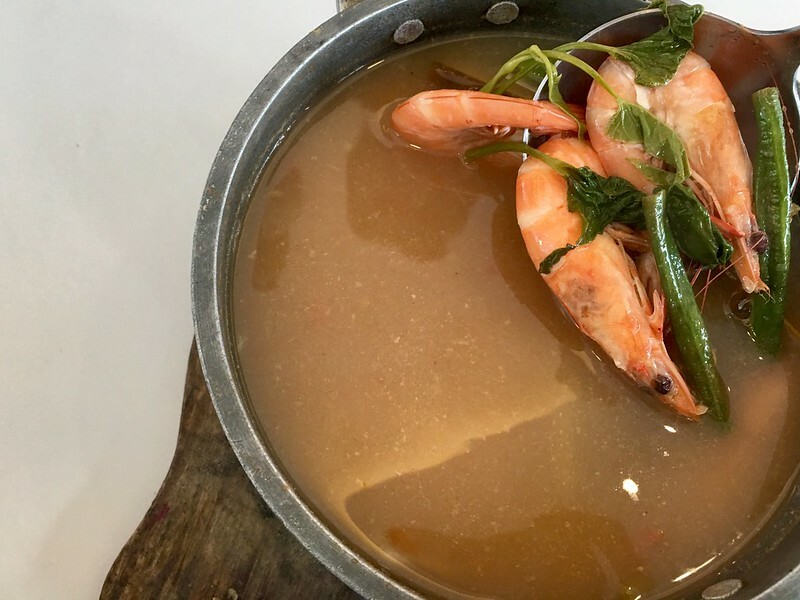 Zambales Sinigang sa Miso (Php235) and Sampaloc Singang na Hipon (Php240) are answers to those craving for seafood and sour broth. 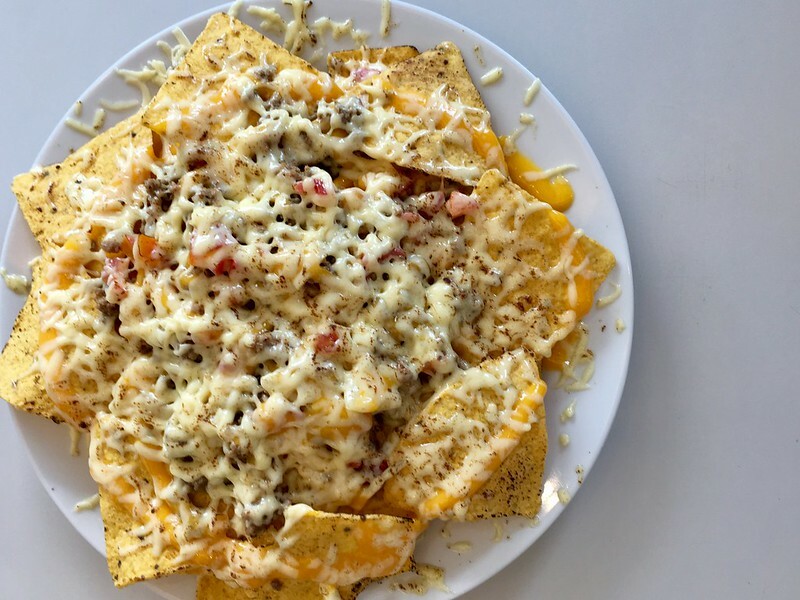 Mexico (Php159) features the country’s crisp corn nachos topped with homemade salsa, ground beef, tomatoes, onions and torched cheese. 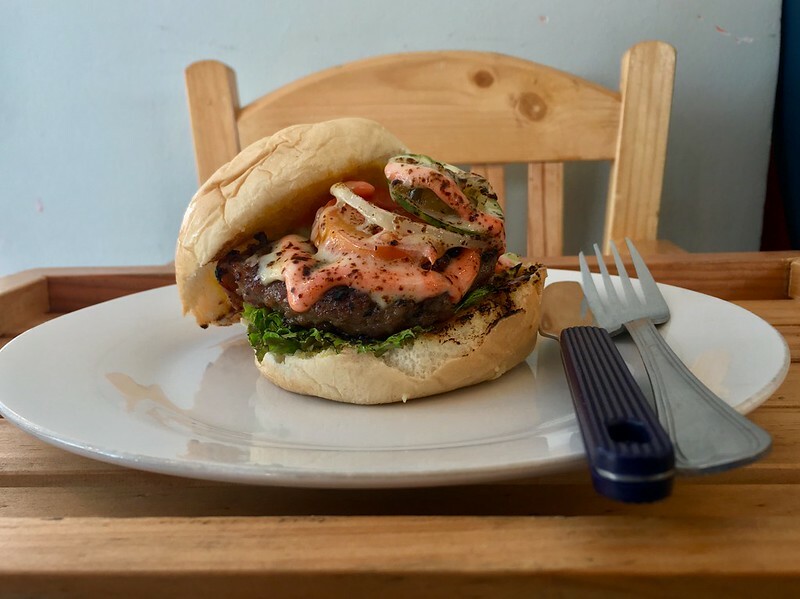 The Califoria (Php125), on the other hand, is a meaty quarter pound patty of specially seasoned ground beef topped with three types of cheeses along with lettuce, tomato and cucumber. Want some fries with that? 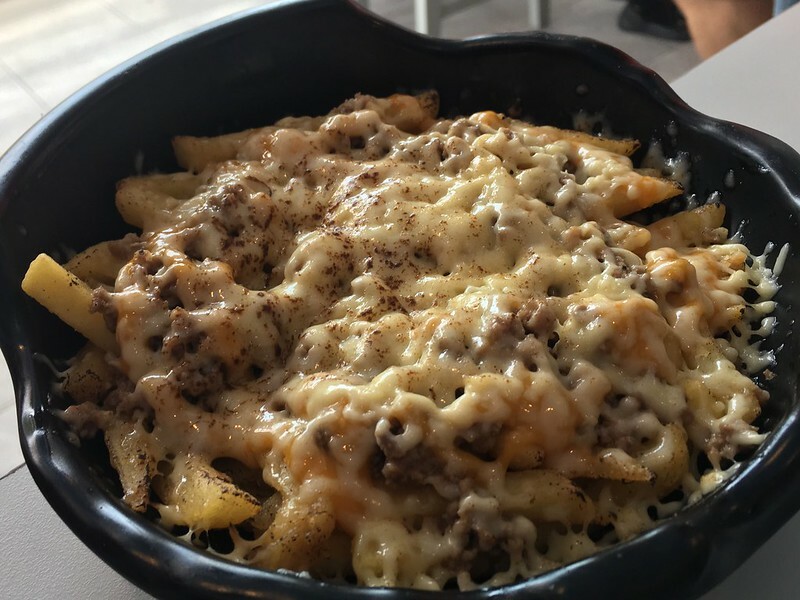 Then check out Brussels (Php65), a mother lode of French fries topped with meat bits and loads of cheese! 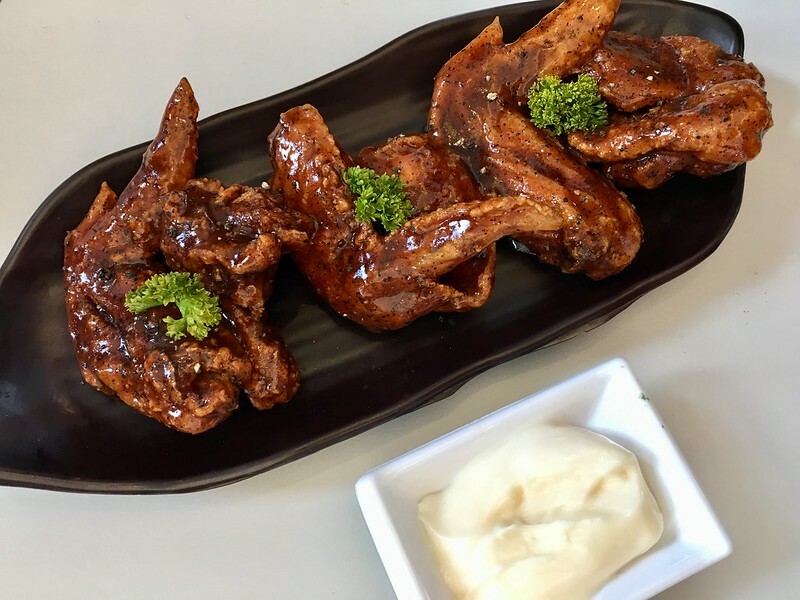 Chicken wings such as the teriyaki-flavored Kyoto (Php159) and the spicy buffalo New York (Php169) are great to munch chased by pretty mocktails such as the Shirley Temple (Pink Illusion – Php75) or Roy Rogers (Cherry Cala – Php75). 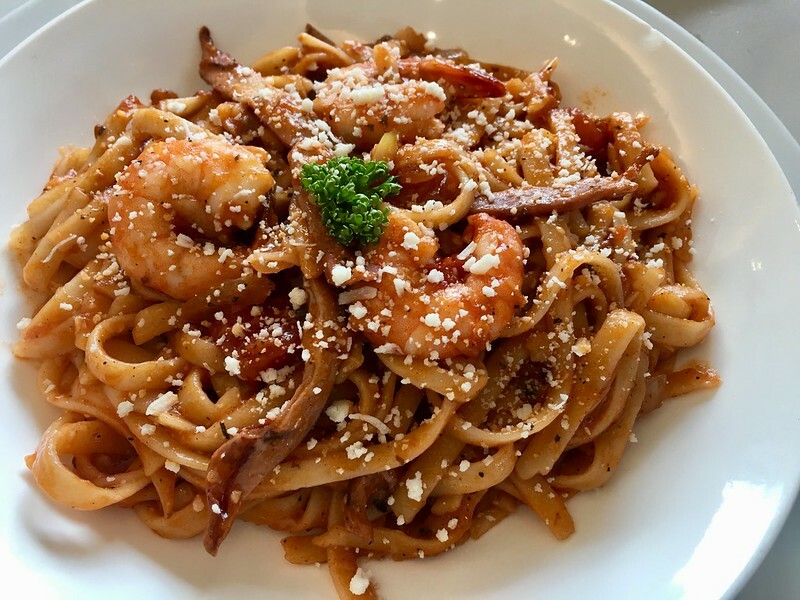 Carbo-loading? 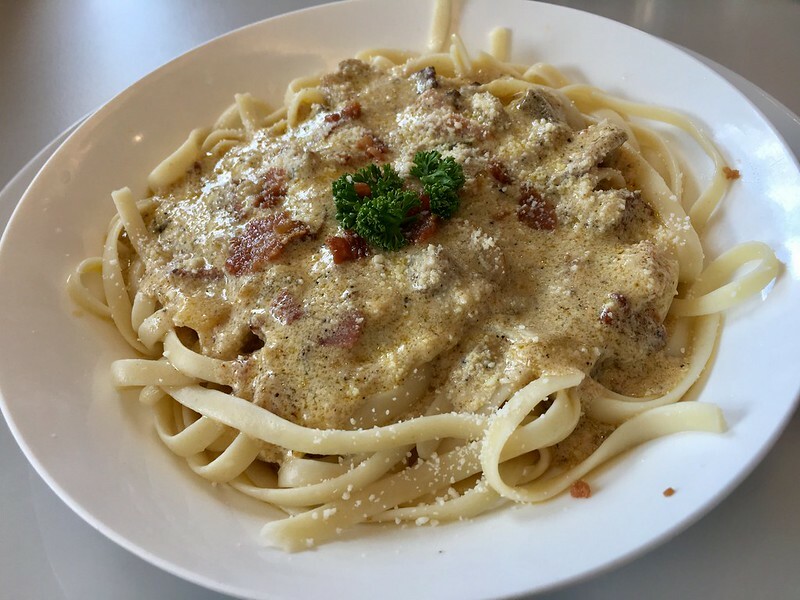 Head on over to France (Php155) for some pasta and seafood in homemade red sauce, to Rome (Php155) for some creamy sauce littered with bacon, ham and mushroom bits, or to Italy (Php155) for some heat from chili flakes mixed into the aglio e olio pasta sauce. 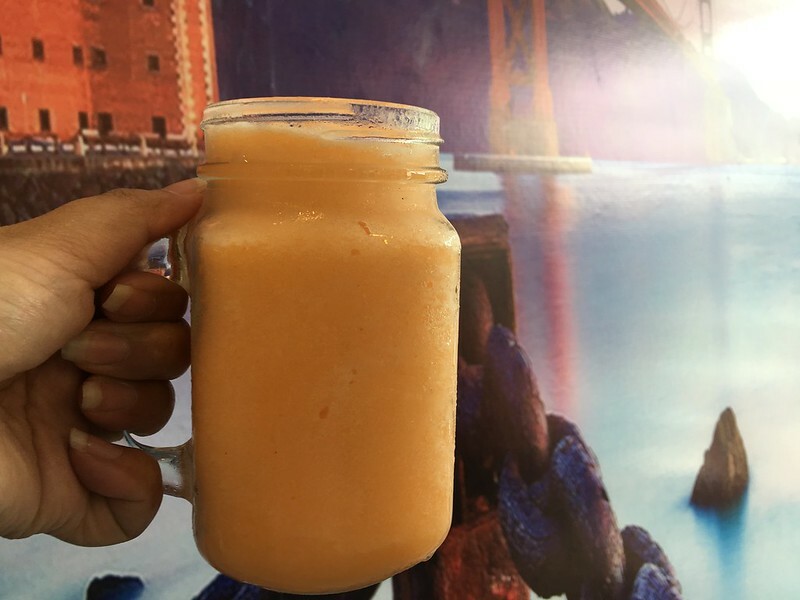 Refresh yourself with shakes made of fruits in season at Php125 each such as the Pangasinan (watermelon), Baguio City (strawberry) and Guimaras (ripe mango). 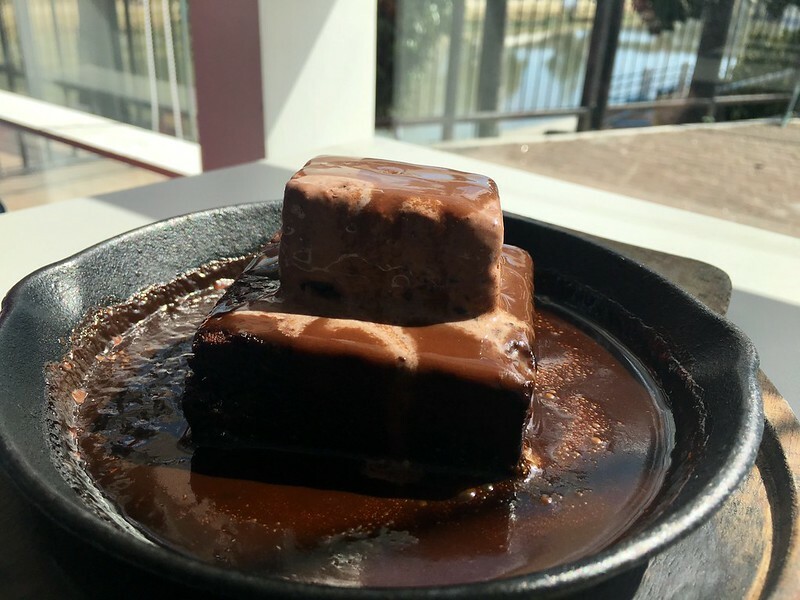 Don’t forget to reward yourself with something sweet and decadent (I know I won’t)! 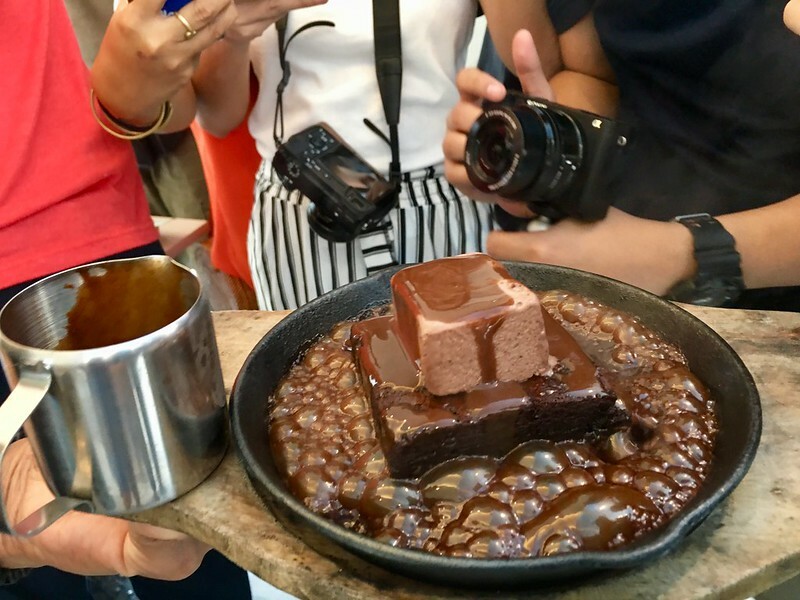 It’s Belgium Sizzling Brownies are topped with either classic or special Uncle D’s ice cream. 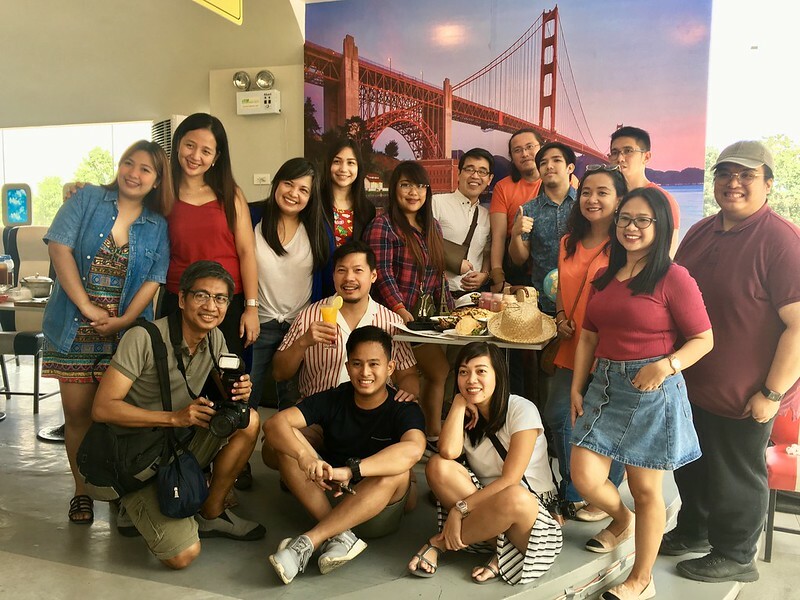 If you brought your whimsical and adventurous side when you visit Passenger Seat, you’re in for quite a trip best enjoyed with a large group of fam and friends! 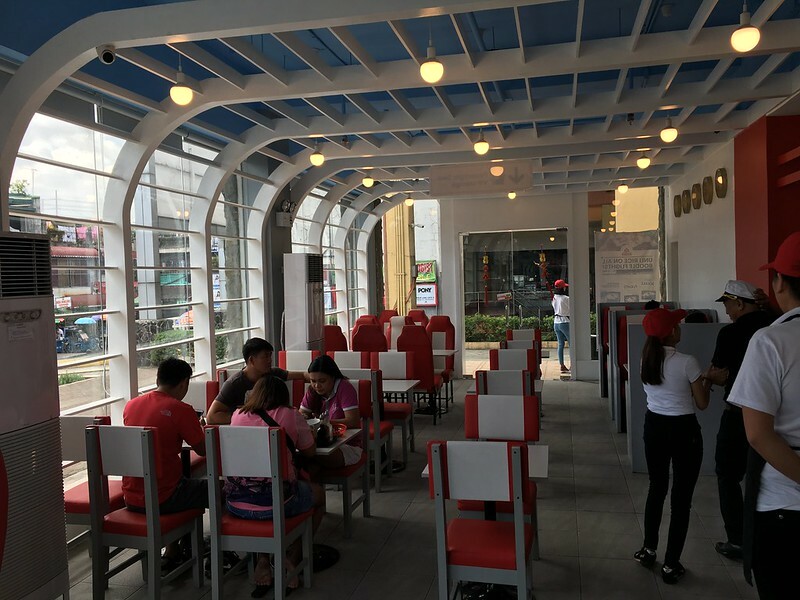 Passenger Seat is located at Ground Floor, Riverbanks Mall, A. Bonifacio Avenue, Barangka, Marikina City. 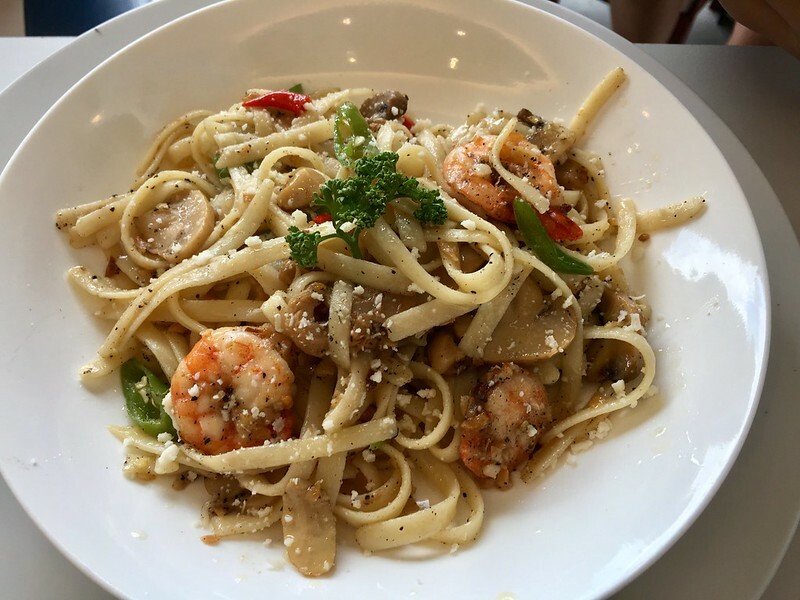 For reservations and inquiries, call +63 917 8373695.